Cranbrook, BC (November 9, 2018) – Last year’s retrofit of the pool dehumidification system at Western Financial Place (WFP) continues to produce significant energy and cost savings for the City. From September 2016 to July 2017, WFP used over 13,000 gigajoules of natural gas at a cost of nearly $112,000. Following the retrofit work, from September 2017 and July 2018, the City used 8,768 gigajoules of natural gas at a cost of just over $77,000 – a savings of nearly $35,000. The retrofit project, completed in mid-2017, was projected to save the City nearly $38,000 per year in energy use. In the last half of 2017, the City saw a 40 per cent reduction in natural gas consumption at WFP, which saved taxpayers nearly $26,000 in energy costs. That’s a total savings of over $60,000 in energy costs in just over 18 months. “We are extremely happy with how the new dehumidification system is performing and the energy savings we are seeing is far exceeding expectations,” says Stacy Paulsen, Facility Operations Manager with the City. 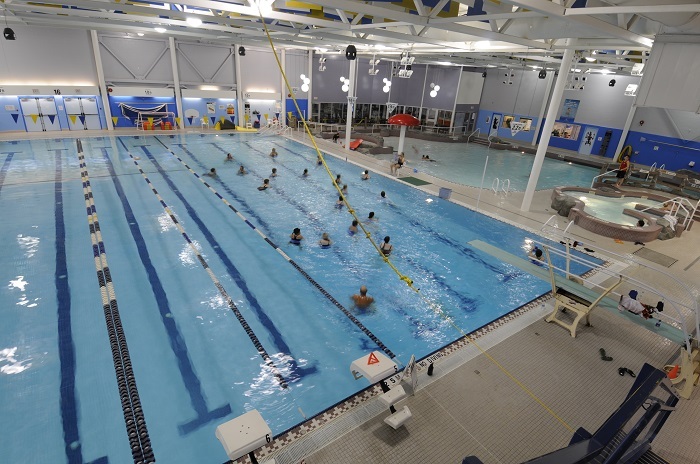 The pool dehumidification project which retrofit the old dehumidification system, now uses a heat recovery dehumidification system which negates the need to use outdoor air which was used previously as the primary form of dehumidification in the aquatic centre. The new system decreases the ventilation heating load and makes the heating of the pool more energy efficient and more cost effective. The project was funded in part through grants, including $108,000 from the provincial Community Energy Leadership program (CELP) and $133,000 in rebate funding through FortisBC’s commercial energy conservation rebate programs. The City received an honourable mention through the Climate and Energy Action Awards from the Community Energy Association (CEA) at the annual Union of BC Municipalities convention in 2017.